Are you planning an event? 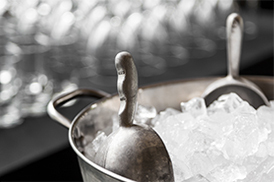 Are you looking for a reliable bar catering service to take the stress out of planning and make sure your event is worry-free and enjoyable? Bar Stars Bartending Service can guide you through executing an exceptional, elegant and adequately staffed event. Whether you are planning a wedding, corporate event, holiday party, fund-raiser, open house, dinner party, charity event, picnic, reception, dinner party you name it we have done it. 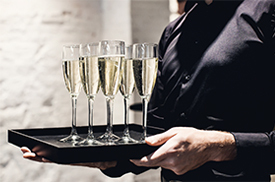 Through the development of a customized beverage package, Bar Stars Bartending Service is able to take a regular event and make it truly unique. Congratulations! It’s your day to celebrate. 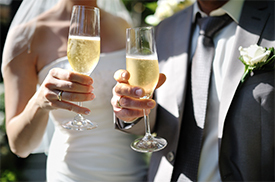 Bar Stars Bartending Service will turn your vision of the perfect wedding into a flawless astonishing reality. Let us take care of the details of your bar. Bar Stars Bartending Service is commited to executing your corporate event beyond your expectations. Relax and enjoy your party! Bar Stars Bartending Service professional and fun staff will bring your party to life and create a stress free evening. We love what we do and it shows! Bar Stars Bartending Service will go the extra mile to provide excellent quality service and presentation. WHY HIRE BAR STARS CATERING BAR SERVICE FOR YOUR EVENT? Barstars was awesome! They were very flexible with my needs and gave us a really great deal for our wedding. Communication was really easy with them and they really went above and beyond my expectations. Barstars really are STARS. They were professional, courteous, on time, set up and ready to serve before our event even started. Prices were affordable and so worth it. Having them handle that portion of our event was one of the best choices we made! Bartenders were dressed professionally and so nice to our guests. We highly recommend using them. We are a lifetime client. Thanks Barstars! Bar Stars did an outstanding job. They were fun, courteous, and great bartenders. They kept things moving & there was never a long line during the entire event. All of our guests raved about Bar Stars! Bar Stars were amazing to work with. They were professional and wonderful to all our guests. So easy to work with! Would recommend them to anyone for an event. Great service! Highly recommend! They were great to work with with a quick response to any questions. Multiple guests commented on how great the service was during the event. Very professional bartending service for corporate or private events. Great job with setup & take down. With Barstars we didn't worry at all about our beverage service, it was all handled perfectly. What exactly does your bar service include? Bar Stars bartending service includes 6 hours (for exceeded hours, additional charges will be determined) of pouring drinks and entertaining your guests. We come at least 2 hours early at no additional charge to make sure we are all ready when your guests start to arrive. We bring everything needed for the bar package you have selected. Everything is supplied from liquor to ice. You can relax and enjoy your event knowing that all the details are completely taken care of. 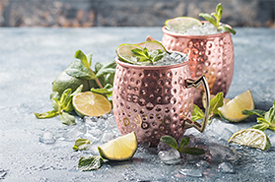 Can my beverage package be customized to fit my bar service needs? Yes! The key to our success is our unwavering attention to every clients needs. If you are looking for that something different from flavored martinis,champagne greet, specialty beer, wine, and cocktails, seasonal and signature drinks, we can accommodate your every need. Check, Cash and Credit Card can be accepted as means of payment..
How do I reserve my event date with Bar Stars Bartending Service? A $300 non-refundable deposit is required to hold the date. Final guest count and remaining balance is due 10 days prior to event. How will the bartenders be dressed? Bartenders will be dressed according to the type of event you are having. We will discuss this with you at the time the event is booked. Who is responsible for making sure that the guests do not have too much to drink? Our bartenders are trained in alcohol awareness and licensed. Bar Stars reserves the right to refuse service to any guest(s) who seem to have had too much to drink, per our judgment. Bar Stars does carry a liquor license. Bar Stars is fully insured. Proof of insurance can be shown per requested. Do you travel outside of Milwaukee? We are available for free event consultations if you have any party-planning questions. We also have an extensive contact list of vendors. We are happy to address absolutely any questions. How Did You Hear About BarStars? Professional Milwaukee & Surrounding Area Bar Catering & Bartending Service- Exquisite Service. Professional. Insured. Licensed. Book Today!